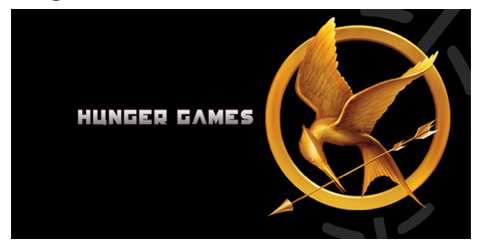 Hold onto your beloved, earmarked hardcover copies of “The Hunger Games,” ladies as it appears Gary Ross and Lionsgate are close to casting Katniss for the feature film version of the trilogy. Academy Award-nominated Jennifer Lawrence, 20, (Winter’s Bone) is rumored to be the actress who will be offered the lead role in the movie, based on Suzanne Collins‘novel according to Variety. The other contenders are fellow Oscar nominee Hailee Steinfeld (True Grit) and prolific child star, Abigail Breslin (Little Miss Sunshine). Variety comments that casting a slightly older actress gives producer Lionsgate to choose from larger pool of actors for the male lead character Peeta Mellark. Let’s face it – it would have been beyond uncomfortable to watch a 14 year old flirting with rumored Peeta casting favorite, Alex Pettyfer, 20. Lawrence can next be seen in former child star Jodie Foster’s, “The Beaver,” starring Mel Gibson, in May.